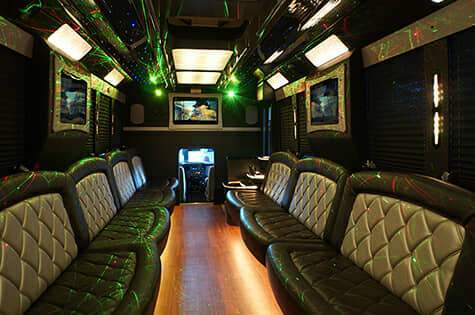 We have the best selection of luxury party buses! 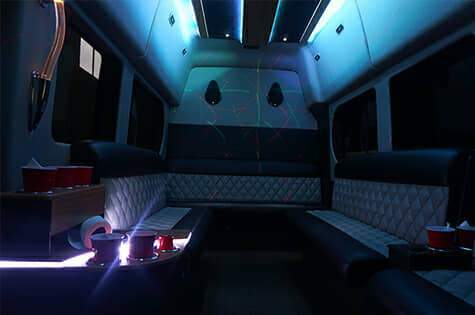 Our 10 passenger party bus is perfect for smaller groups who want to have a good time! 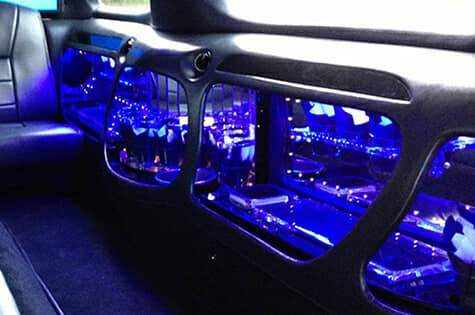 You'll be blown away when you step into this party van! Limo style seating, hardwood floors and colorful accent lighting adorn this one! 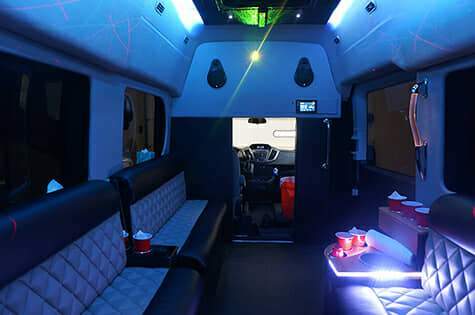 Laser lighting, Bluetooth connection, granite-topped bars, and custom sound system add a kick to to this van! 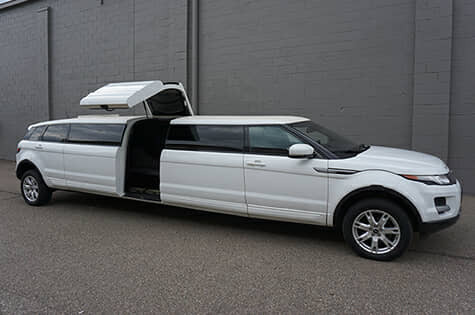 Or 12 passenger Range Rover is great for any event! 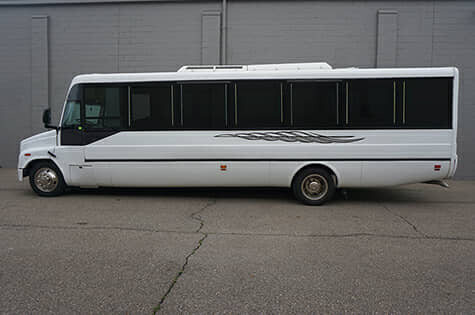 Luxurious leather seating for up to 12 passengers and hardwood floors give this bus a lounge type feel. 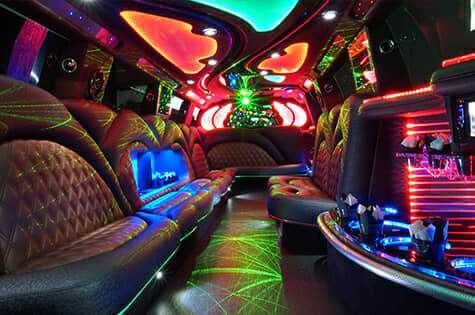 Exotic, disco ceiling and floor, and bar areas, and custom sound system with CD/iPod capabilities are just the beginning of the features on this limo! 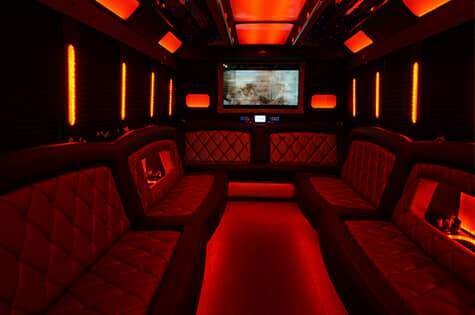 The entertainment factors on the 12 passenger party bus include flat screen TVs with DVD and BluRay player and amazing custom sound system! 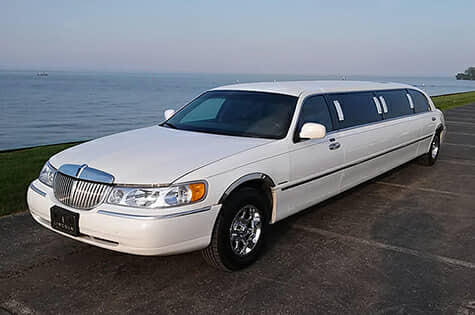 Our 12 passenger Town Car is a great choice for any event! 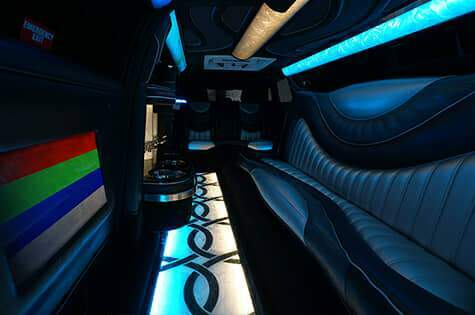 The inside of this limo features the finest luxury, just what you'd expect from Party Bus Det! 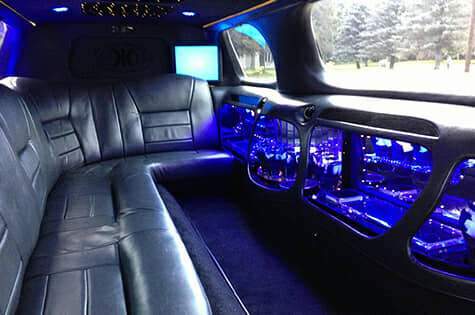 Luxurious leather perimeter seating and hardwood floors give this limo a relaxing interior! The granite bars and coolers, and colorful lights are perfect for your party! 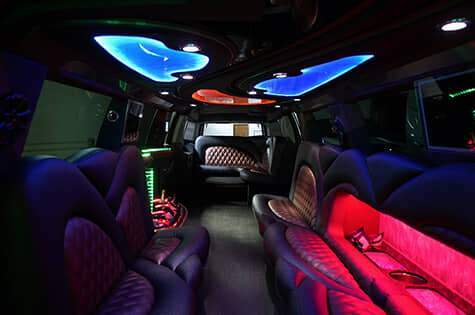 Flat screen TVs, DVD/BluRay, CD, and iPod capabilities with a custom sound system give this limo endless entertainment possibilities! 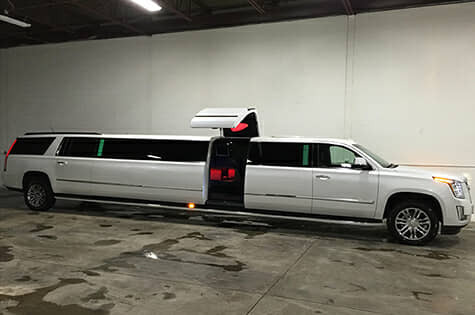 If you need luxury transportation for up to 20 passengers, this Escalade limo with jet doors is a perfect choice for you! Plush leather seating, high-quality hardwood floors, and bars and coolers with granite counter tops are the ultimate in luxury! 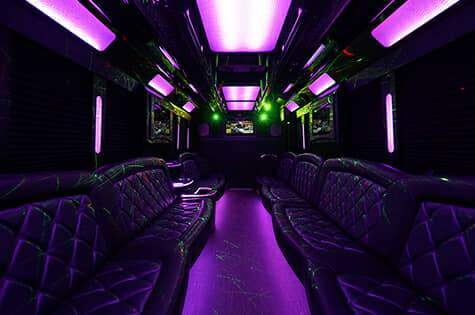 Colorful lighting accents the floors, windows, steps, seats, and ceiling, giving this bus a true party environment! Our 28 passenger bus has an amazing sound system for CDs, iPod, or DVD! What else would you expect from Party Bus Det? Multiple flat screen TVs and a Blu-Ray DVD player with great audio system add to this bus's entertainment factor. The 28 passenger bus is perhaps our most uniquely designed bus! 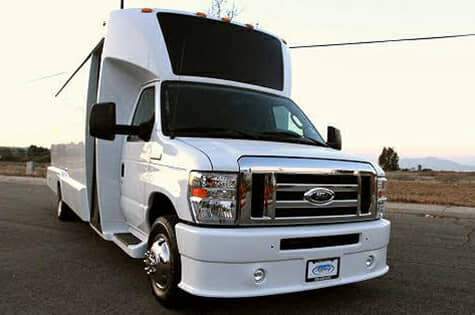 Call us today to book this gorgeous vehicle!. 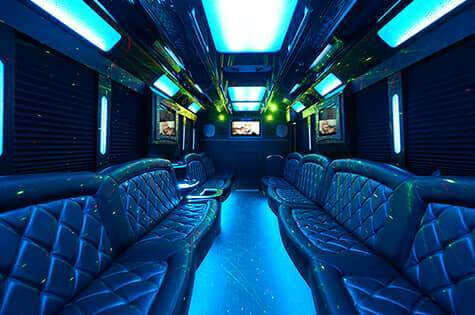 Party Bus Det offers a 30 passenger party bus that seats you and up to 23 friends in the lap of luxury! Plush two-tone leather seats surround the perimeter of this bus, and high-quality hardwood flooring is featured throughout. 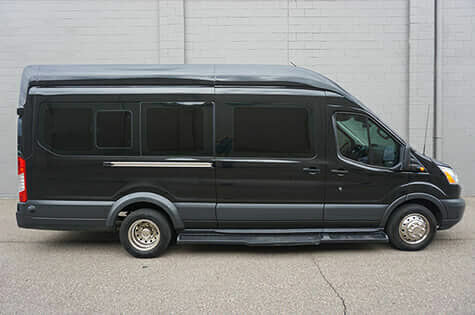 This bus features three 32" flat screen TVs with DVD and BluRay capabilities! The custom sound makes movies sound amazing! 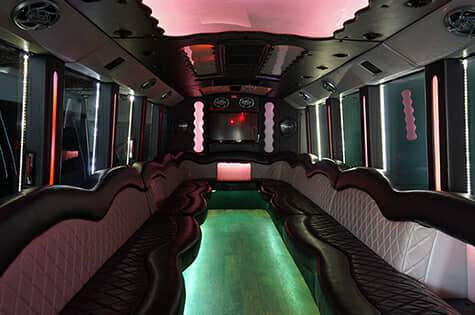 For larger groups, our 34 passenger party bus is a great choice! 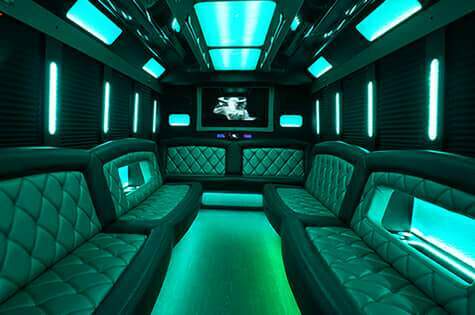 The interior of this bus is gorgeous! Supple leather seating, hardwood floors, multiple flat screens, and the lighting are the first things you'll notice when you enter this bus! 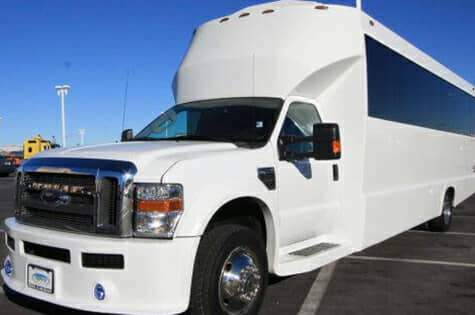 Four 12" subwoofers make the sound on this bus like nothing you've ever heard! 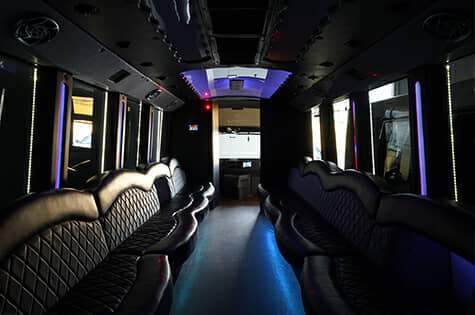 Our 35 passenger bus has multiple bar areas for chilling, mixing, and serving drinks! And the sound system is unbelievable! 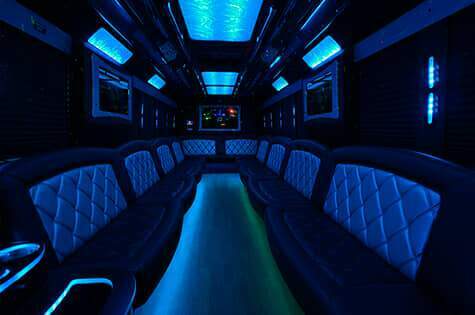 The party possibilities are endless on this huge party bus! This is a great choice for fund raisers or corporate events! It's also a popular option with wedding parties! 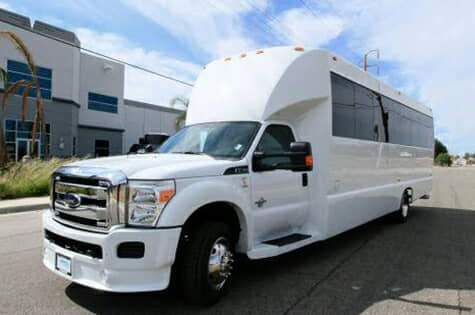 If you're looking for a spacious party bus with all of the best features, then this is the bus for you! Call today to book your reservation!